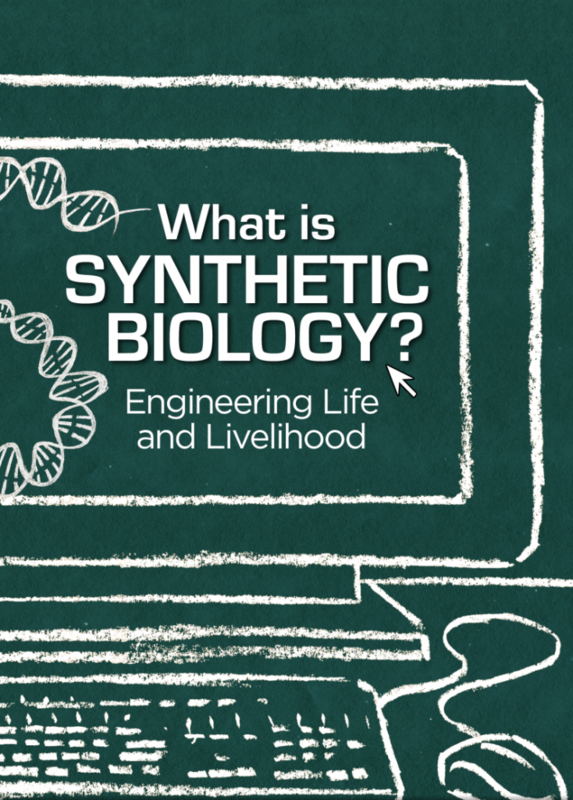 What are the social, economic, and ecological effects of synthesizing life from scratch? “Synthetic Biology” describes a new multi-billion dollar industry that is overturning current production arrangements for chemicals, fuels, foods, cosmetic ingredients, pharmaceuticals, and other products. This video explores the way in which organisms such as yeasts are re-imagined as ‘biological factories’ and engineered to artificially synthesise valuable plant compounds such as vanilla or saffron. Such compounds are currently harvested by tropical farmers but can now be artificially produced in fermentation vats using highly engineered synthetic organisms. In just a short few years, synthetic biology has the potential to disrupt the livelihoods of hundreds of millions of small-scale producers, to remake global commodity chains, and to drive widespread land use change as the new “syn bio” companies go in search of ever-cheaper feedstocks for their engineered “bio-factories.” Only one international forum, The Convention on Biological Diversity, is starting to address these changes, which have the potential to transform local and regional economies around the world. What does it mean to think about life and living things as a ‘machine’ or ‘factory’? What is gained or lost by doing so? How should governments and international bodies weigh innovation in the bioeconomy against the interests and livelihoods of existing and traditional economies and existing commodity chains? Changing the means of production to bioengineered “living factories” also changes the patterns of resource extraction (e.g. to biomass, natural gas). What could be the environmental, social, economic and cultural implications of changing feedstocks? ETC Group. 2007. Extreme Genetic Engineering – An Introduction to Synthetic Biology. Montreal: ETC Group. ETC Group. 2010. The New Biomassters: Synthetic Biology and the Next Assault on Biodiversity and Livelihoods. Montreal: ETC Group. ETC Group. 2013. Synthetic Biology and The Bioeconomy of Landlessness and Hunger. Montreal: ETC Group. ETC Group 2014, Extreme Biotech meets Extreme Energy. Montreal: ETC Group and Heinrich Boll Stiftung. ETC Group 2014, Outsmarting Nature? Synthetic Biology and Climate Smart Agriculture. Montreal: ETC Group and Heinrich Boll Stiftung. Created by a partnership of academics and activists, the Bioeconomies Media Project is an online resource to support critical discussion on the economic valuation of living entities. The project uses animated videos to explore ways in which complex live beings are translated into discrete units whose value can be understood in dollars and cents.